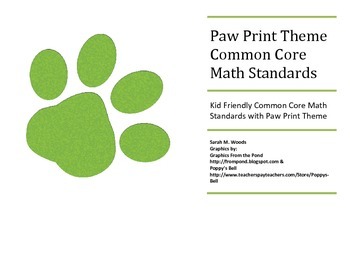 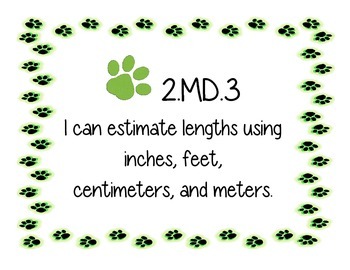 Green Paw Print Themed Common Core 2nd Grade Math Poster I can statements plus suggested vocabulary for each area. 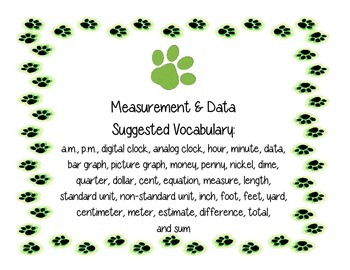 These are perfect to hang up in your classroom for your daily learning targets!!! 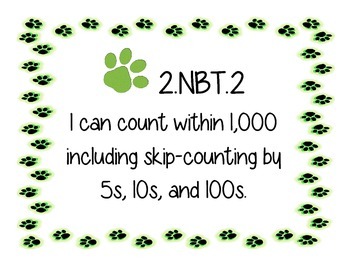 I plan to make more in pink and blue for English and Language Arts.